Bay lives with her daughter Ashley in the house she grew up in, while her sister Tansy follows her wanderlust to places unknown. Tansy's latest situation ends and leaves her homeless. She points her Porsche in the direction of Louisbourg and returns to the home she hasn't seen in 15 years. 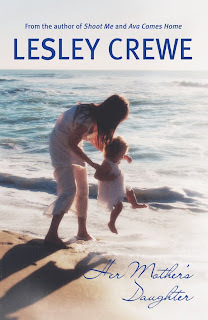 She finds Ashley an almost grown woman on the eve of her graduation and constantly at odds with Bay. Bay, weary and alone since the death of their mother the year before, is dealing with more than just empty-nest syndrome. The loss of the love of her life 18 years ago continues to haunt her and won't allow her to enjoy a full life. Now Tansy is back and playing the fairy godmother to Ashley and making matters worse has her eye on the only guy in town that's shown any interest in Bay. Tansy feels the borders of the small town closing in on her, as gossip and prying eyes lead to clashes with Bay. But bigger still are the buried secrets the sisters kept for years that are about to be uncovered. A good book is one that keeps you thinking about the characters days after you finished reading it. One where you're still angry with some of them. One that requires some time to think about. 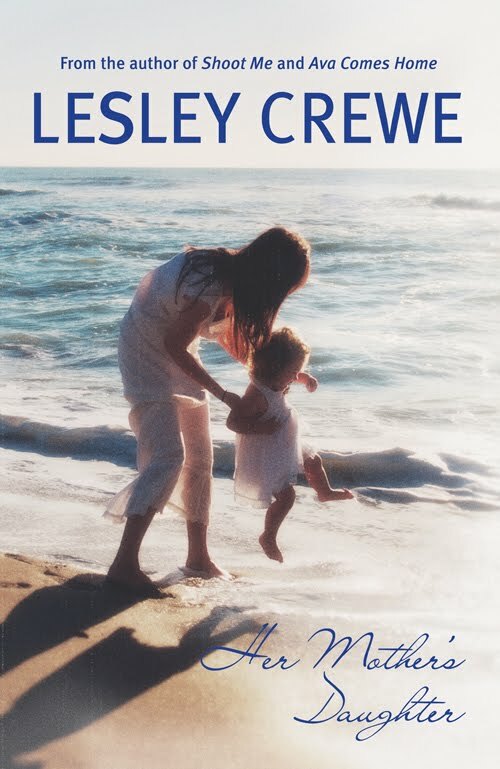 Her Mother's Daughter by Lesley Crewe does that. I'm still thinking about Bay, Tansy, Gertie and Ashley. Her Mother's Daughter is about the complex relationship between sisters. Sisters who are opposites in every way and the jealousies that grow from those differences. And there's a guy...there's always a guy. But I'm not going to talk about the guy because that would give away too much. All I will say is that I'm still angry with Tansy. I don't think I could be that forgiving; I can hold a grudge. But then again I don't have sisters. There is a lot going on in the book that I can't discuss but I will say that this is the most emotional of Crewe's books so far. It's still told in that down home style complete with funny asides but by the end of it I was bawling. So buy this book and then lend it to your sister, or your mom or your best friend so that you can all talk about it amongst yourselves. Actually, this would make a great book club book, especially with a group of women of different ages. I bet there would be all kinds of opinions. Thanks to Nimbus for sending me this review copy. So glad you liked the book. Thanks for a great review. It really does sound like a good one for a women's book club. People at the crossroads of their lives always make for interesting characters. Great review!